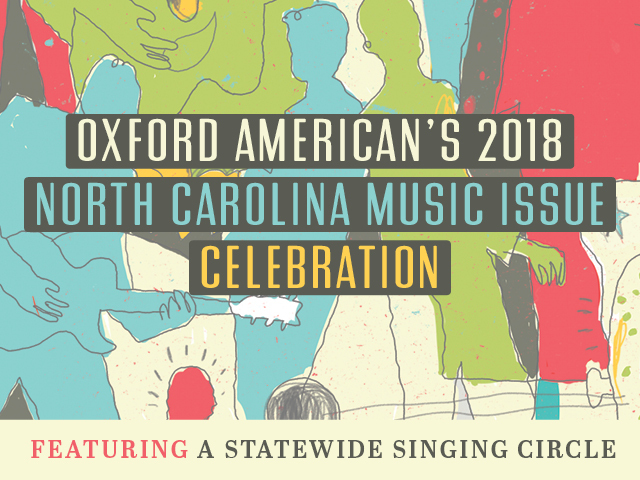 Oxford American magazine, Yep Roc Records, and Music Hall are proud to present the Oxford American’s 2018 North Carolina Music Issue Celebration on Friday, November 30, 2018 at 8:30 p.m. at Music Hall in Asheville, NC. Featuring a diverse group of beloved North Carolina musicians co-curated by Raleigh-based songwriter Tift Merritt, this special “Statewide Singing Circle” will showcase intimate collaborations between artists that call North Carolina home coming together for a unique once-in- a-lifetime show. Featured guests at the Asheville concert will include co-curator Tift Merritt, along with poet Nickole Brown, Pat Mother Blues Cohen, Mike Guggino, Amanda Anne Platt, Jimmy Landry, Michael Libramento, Tyler Ramsey, Graham Sharp, Shannon Whitworth, and other surprise guests.